I stayed only one night in this hotel but I found the hotel provides very goog value for money. The king size bed is made up of 2 single bed and is 2.2m wide. Bathroom has separate shower and bath tub. Room is very spacious. 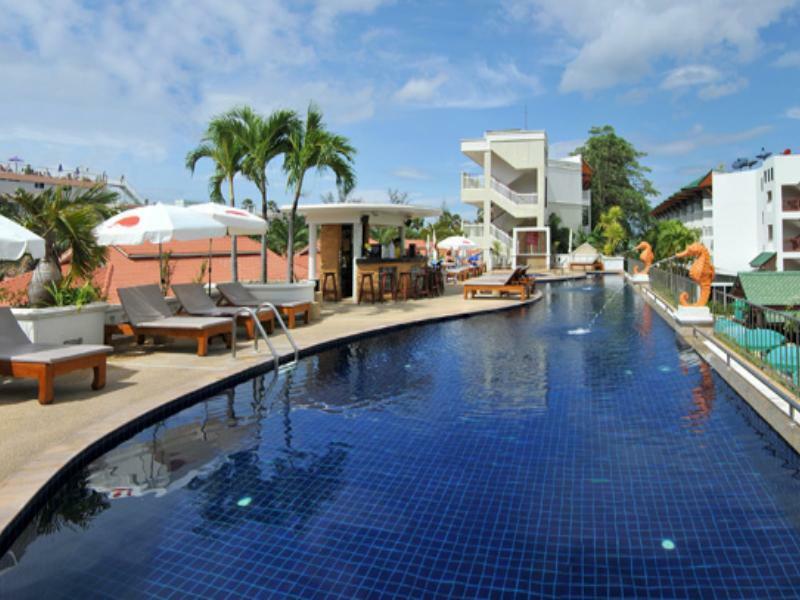 Location is close to main streets of Karon area and beach is just opposite the road. Swimming Pool, Staff, service, Breakfast, location, price. 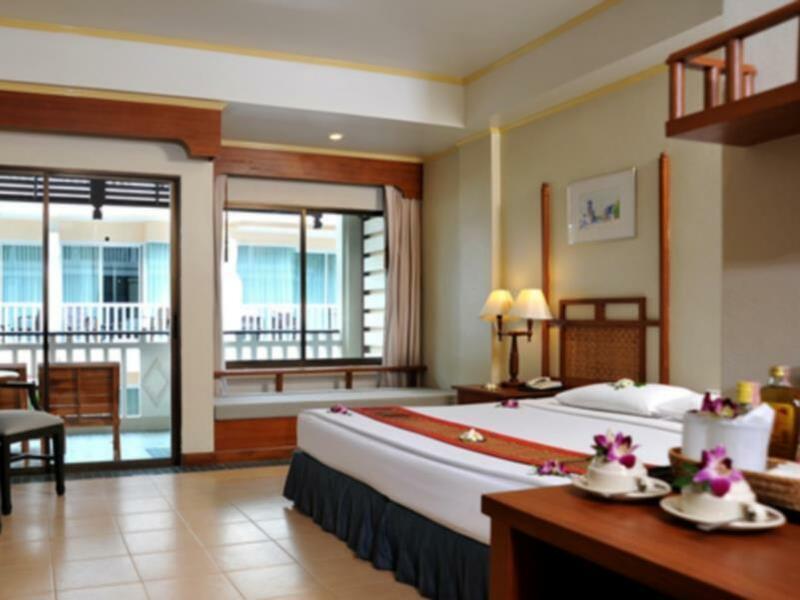 In my opinion of the hotels you can book on the net, Karon Princess, booked through Agoda, is abslutely the best deal out there. The staff are nice and remeber me from last trip. Buffet breakfast is a great deal and it's close enough to walk to shopping, meals, banks and all. The swimming pool on the roof on the 2nd floor is great if you have children and it's so easy to walk acros the street and be right on the beach for a jog, swim, etc. It was a nice stay, very well located but extremely far from the airport (about 1:30 hs by car). Parking is very tricky and complicated, the owner blocked our car few times. Struggle in communication in English, horrible wifi connection but nice beach in front. I’d recommend if you gonna stay few days and rent a car, otherwise is kind of complicated to spend just 1-2days. The location of the hotel is great. 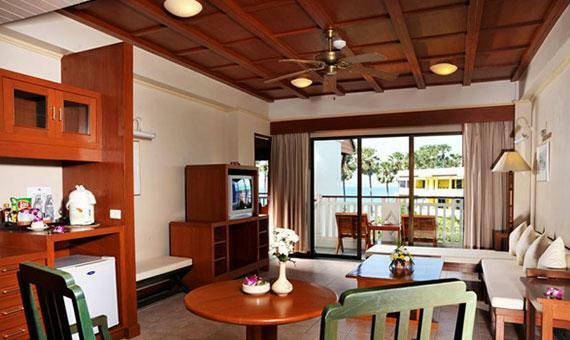 Just one lane away from the beach and few minutes walk to convenient shops and mini market. The swimming pool is great...even though the Seaview has been blocked by building and trees. Breakfast variety is not much but satisfactory. However would like the staff to do something about the birds that kept hawking our food. Would also recommend the staff to be more attentive to customers instead of watching football or TV at a corner during lunch hour. When we walk into their spa/massage area, no one was in the shop...so instead of using hotel service, we use the one nearby. The reception staff is helpful though. They help us settle our taxi issue (our taxi which already paid didn't show up so she called the agency for us and settle the claim for us too). For pokemon player, there is a battle gym directly opposite the hotel. U have to cross the road though. The location of the hotel gives guests direct access to the beach, albeit across the road (almost all resorts are on the other side of the road to the beach, which is a great policy, so that everyone has access to the beach.) We were surprised by the indifferent attitudes of unsmiling staff (beyond check-in); that they allowed children behind the check-in counter demonstrated how "professional" they are here; and when asked a question we got "I don't know" as a response on car rentals and transfers. Perhaps, they only speak Thai and Russian here, which brings us to the fact that they had as many TV channels in Russian language than all the others combined! So much potential, however! Unlike Patong, we were not harassed for massages as much along Karon Beach, so that's a small plus. Most staffs didn't know how to speak English but one. The breakfast included was not good. We stayed for 4 nights and the cleaning lady not once came to clean our room. Complimentary bottled water, coffee, daily fresh towels, etc were not delivered. We literally have to ask for them every single time and when we do call, we have to wait a couple minutes for the English speaking staff to come. With all that saying, the beach is just right in front of the hotel and close to all the restaurants and nightlife.